The anonymous storm troopers from the Star Wars franchise, fitted in white clad armor, are known for being homogenous. 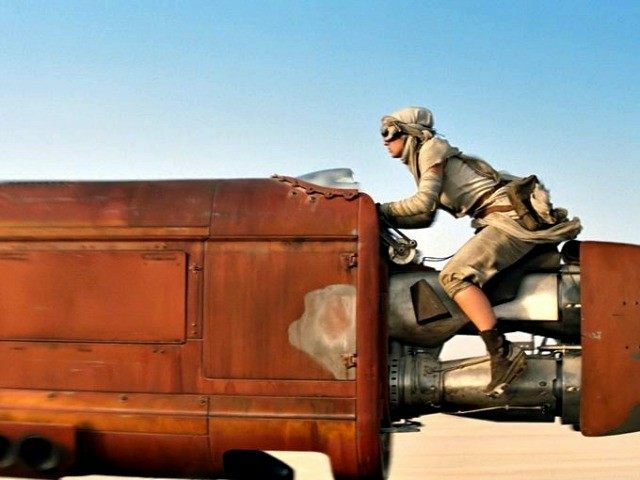 However, there may be some diversity in the ranks in the form of a female in J.J. Abrams’ upcoming Star Wars: The Force Awakens. As reported by The Mirror, Hargreaves’ CV on Spotlight listed her as a stormtooper in the film. That information has since been removed. In a another tweet, Mzimba speculated that Hargreaves may just be a double for previously announced cast member Gwendoline Christie of HBO’s Game of Thrones, who has been linked to Abrams’ Star Wars film, but the only detail of her role was that she was rumored to play an important soldier. It was also announced in December that black actor John Boyega is set to play the role of a stormtrooper named Finn. Either way, Abrams’ new empire is likely to be an inclusive and diverse one.